Kim is a licensed Master Esthetician and Professional Makeup Artist. 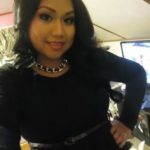 She is a graduate of Catherine Hinds 600 hour Advanced Esthetics program and continues to enhance her makeup artistry and esthetics skills by attending classes through MAC Cosmetics, JANE IREDALE Mineral makeup, GLYMED Purely Professional Skin Care and many other major cosmetic and skincare companies. She also has certificates in Laser Hair Removal and Semi-permanent eye lash extensions. Her professional cosmetics experience started when she began working as a Makeup Artist at Merle Norman Cosmetics studio in Winchester, MA and became the Studio Manager. She also worked at Rouge Cosmetics in Salem, MA and was also the Lead Trainer for Bare Minerals in Peabody, MA. 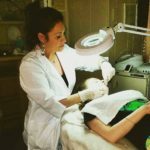 She has also worked as an Esthetician and Makeup artist spas in Winchester, Danvers, Beverly and Wilmington and Managed a spa at Logan Airport for two years as well as a spa at the Double Tree Hotel in Danvers, MA. 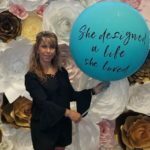 She loves being an Esthetician because she is confident in being able to help clients achieve their skincare goals and can relate to many of their situations since she has experienced periods of skin issues herself as a teenager. Eyebrow artistry and “Eyebrow Rehab” are her favorite waxing services and deep cleansing facials are her specialty! Jaqui has been working us since 2006. While in college she began working under Kim as a makeup artist at Merle Norman cosmetics in Winchester, MA After graduating with her BS from Boston College she knew she wanted to stay in the beauty industry. She graduated from Catherine Hinds Institute of Esthetics 600 Hour Advanced Esthetics program and continues her makeup and skincare training at IDE in Woburn, MA. She has also been the makeup artist for fashion shows in Winchester and numerous weddings and proms over the past 8 years. Tara has been doing makeup since high school for friend’s proms and quickly built her business by word of mouth. She has been freelancing for the last 12 years. She then worked for Origins for three years where she learned more about professional makeup applications, hygiene and wedding looks. She most recently worked with Soma Day Spa in Wakefield as a Makeup Artist. She was the Makeup Artist for, ROCK THE RUNWAY fashion show which was a Masquerade theme and did the makeup for a photo-shoot for Vogue Knitting magazine. She continues her makeup education with MAC Cosmetics and also has her Associates Degree in Diagnostic Medial Stenography and her training is with MGH. 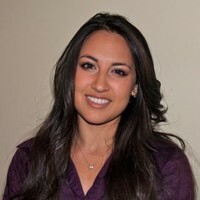 Currently she works at Winchester and Newton Wellesley Hospital as a Peri-Natal Specialist. Tara has been with us since 2013! Nanci has been a licensed cosmetologist since 2005. She began her career on Newbury Street in Boston at Marc Harris Salon where she worked for two years. She started a 7 year tenure at Lumina Salon in Reading in 2007 and worked there until deciding to freelance on her own in 2014. Nanci most enjoys doing wedding hair and updo’s. She said the art of enhancing a women’s beauty on the most important day of her life is the most rewarding feeling and positive atmosphere to work in. Nanci enjoys and has experiences in all aspects of hair including cutting, styling, color, corrective color, henna color, certifications in Brazilian straightening, Japanese straightening, Keratin straightening, and hair extensions. Nanci joined the To Make Beautiful Team In 2013 and has thrived and enjoyed every booking since. Angela has been a licensed cosmetologist for over 10 years graduating from Hair’s How Modern Beauty School in Wakefield She specializes in special occasion hair styling . I know how important it is to make everything perfect on your wedding day and I want to make sure everyone who sits in my chair leaves happy . I love what I do because I love to make women feel good about themselves especially on one of the most important days of their life . Phaleen (Pauline) has been a licensed esthetician for over 7 years and a makeup artist for over 3 years. Her fascination with makeup and skincare led her to esthetics school in 2011. Her greatest passion is to help her clients feel and look beautiful. With her warm demeanor and sweet personality, she will be sure to put you at ease on your big day! After years of experience with professional makeup application, I learned a great deal about the many ingredients used in make up. The more I learned, the more I discovered the dangers of toxic ingredients in many beauty products and the possible damage to your skin. The testing of beauty products often involves animal cruelty, which was especially upsetting to me, so I began a quest for safe, non-toxic makeup brands that did not participate in animal testing, and were committed to ethical business practices. Fortunately I have discovered wonderful brands that offer the same quality as designer products but are safe, and many are vegan and gluten free.